No code needed. 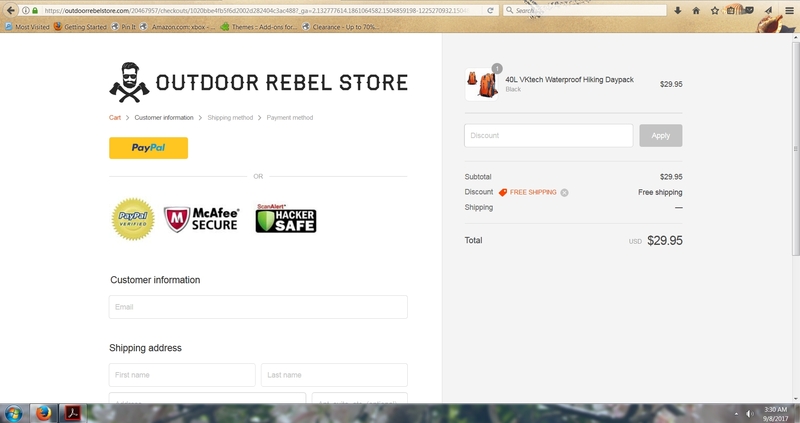 Click the button to redeem your discount at outdoorrebelstore.com. Rachel B. Go to Outdoor Rebel's website. Place items you want to buy in your cart. When you go to checkout there is a box on the right of the page. Type in FREE SHIPPING in that box to get your shipping free! joseph collingwood Select your item or items, go through to checkout, under the pic of your order simply type in FREE SHIPPING to redeem your free shipping!